Business man with a tablet. A happy man takes money out of the tablet. hd00:08Business man talking on the phone. At the man sypyatsya money. hd00:17Businessman working on a tablet. 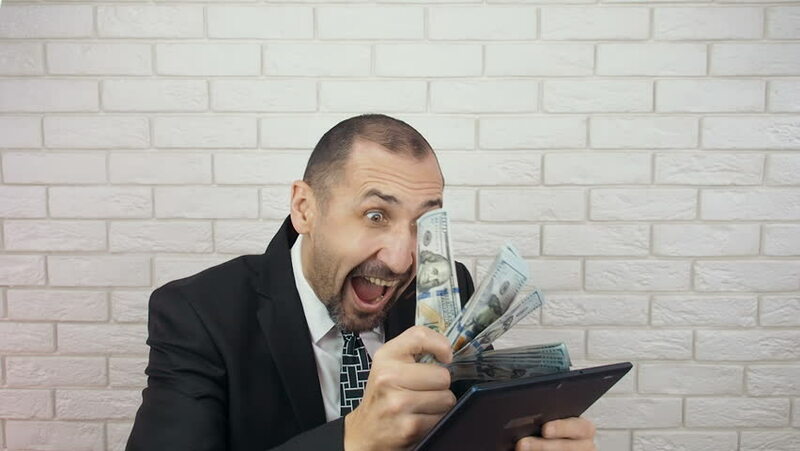 A happy man with a tablet enjoys the falling money. hd00:23Business man with a tablet. A happy man takes money out of the tablet. hd00:25Young businessman talking on the phone and working on a laptop.